Definition at line 62 of file CMiaseBase.h. Definition at line 73 of file CMiaseBase.cpp. Definition at line 76 of file CMiaseBase.cpp. Definition at line 89 of file CMiaseBase.cpp. Definition at line 99 of file CMiaseBase.cpp. Definition at line 94 of file CMiaseBase.cpp. Definition at line 79 of file CMiaseBase.cpp. 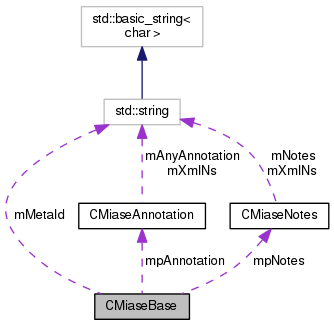 Definition at line 104 of file CMiaseBase.cpp. 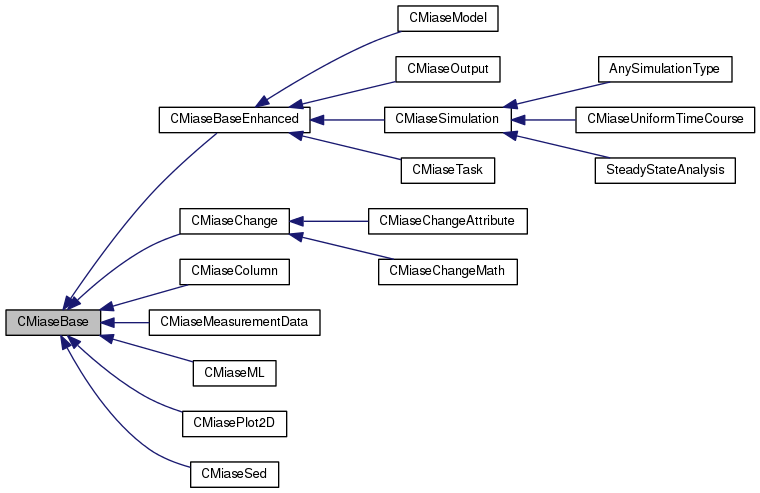 Referenced by CMiaseParser::endElement(), and CMiaseParser::testDataStructure(). Definition at line 84 of file CMiaseBase.cpp. Definition at line 86 of file CMiaseBase.h. Referenced by getMetaId(), and setMetaId(). Definition at line 88 of file CMiaseBase.h. Referenced by addAnnotation(), and getAnnotation(). Definition at line 89 of file CMiaseBase.h. Referenced by addNotes(), and getNotes().